As a lover of the 90’s Sabrina the Teenage Witch, I came into the show with skepticism for this new horror style reboot. Oh was I wrong, I was hooked on the first episode. Riverdale fans will likely be familiar with the darker style of this show, since they both are based on comics from the Archie line. 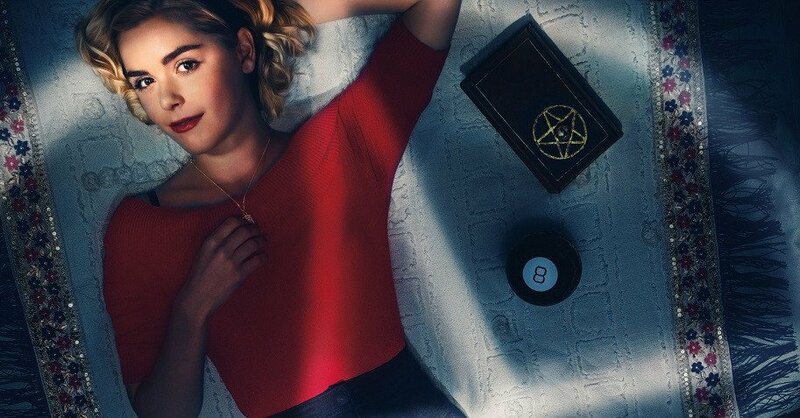 The new Sabrina is set in what seems like a mix of the 1960’s and modern day. They use rotary phones and even smartphones. However, it sets a stage for an eerily picturesque small-town America set in never-ending fall. This set also includes a splash of cannibalism, curses and blood thirsty demons. Fans of American Horror Story or Buffy the Vampire are almost guaranteed to like this show. The Chilling Adventures of Sabrina revolves around Sabrina the 16-year-old half witch. In this version, she had lived her life being raised by her witch aunts and then must select if she wants to become a witch and leave behind her life as a human. To fully become a witch she must sign herself over to the Devil himself. This new version brings Sabrina out of her kooky misadventures of being a teen witch into series issues surrounding feminism, intersectionality and self-expression. This serious and horror filled version works itself into the 2018 framework because it touches on the history of witchcraft in the United States, where witches were direct servants of the Devil. Religion becomes a focus in this show with all witches being in direct conflict with the teaching of Christianity. Throughout the show, the Devil is demonstrated as either being the giver of knowledge specifically to women, as in the fruit of knowledge to Eve, or as a controlling force demanding that all witches are at his command and give themselves entirely too him. Sabrina the modern witch is not about to deal with this. Much of the show revolves around Sabrina trying to form her own identity as a witch and as a human, while she rebels against the male dominated power structures around her. Sabrina and her friends battle against misogynistic power structures in their school whilst becoming a voice for the women around them. She is an activist and complex female character we unfortunately have to search for in popular media. Weather it’s the Devil or her principal, Sabrina is not afraid to make a stand. Sabrina’s friends, Rosalind and Susie, as well are right into the 21st century politics. They each have their own unique stories explored throughout the show. Sabrina’s cousin, a pansexual warlock, is also a new, unique addition to the show. He acts for much of the little comic relief in the show. This show is a mysterious, chilling, feminist, motivating binge-worthy experience. I do still want to be the witch Sabrina of my childhood, who summoned Britney Spears for a private concert and turned her bully into a pineapple. Most of all I can’t help but miss the old Salem. However, a Sabrina who’s not afraid to give all of herself to a fight on what’s right is someone I want to be as well.